Delicate Arch is 60-foot-tall (18 m) freestanding natural arch located in Arches National Park near Moab, Utah, USA. Delicate Arch is formed of Entrada Sandstone. The original sandstone fin was gradually worn away by weathering and erosion, leaving the arch. · It is the most widely recognized landmark in Arches National Park. · It is depicted on Utah license plates and on a postage stamp commemorating Utah's centennial anniversary of admission to the Union in 1996. · The Olympic torch relay for the 2002 Winter Olympics passed through the arch. 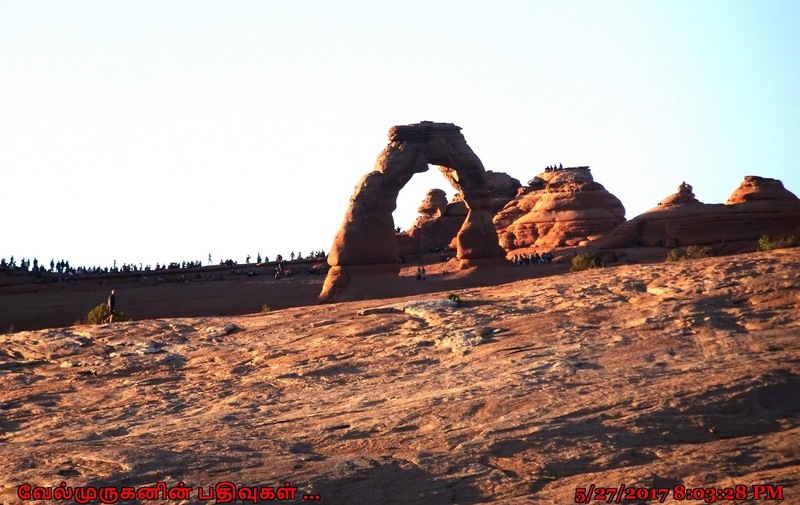 · Delicate Arch is one of the most photographed natural arches in the world. 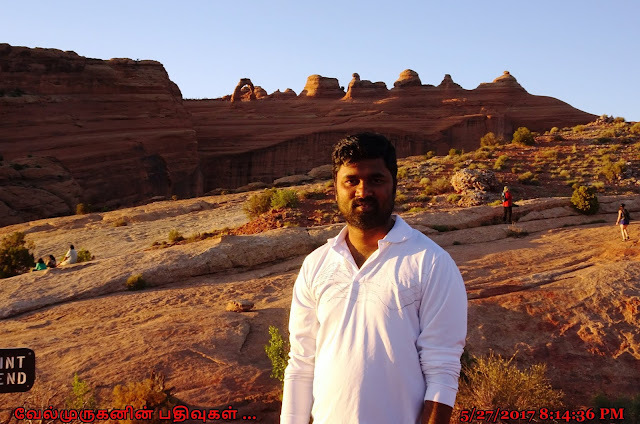 Arches National Park has over 2,000 stone arches, this particular free-standing arch has become a widely recognized symbol of the state of Utah and one of the most famous geologic features in the world. The light opening beneath the arch is 46 feet high and 32 feet wide, making it the largest free-standing arch in the park. It has had more than a few names in its history, from the colorful ("Cowboy's Chaps", "Old Maid's Bloomers") to the prosaic ("Salt Wash Arch"). The term "Delicate" first appeared in a January 1934 article about the Arches National Monument Scientific Expedition, which described it as "the most delicately chiseled arch in the entire area." 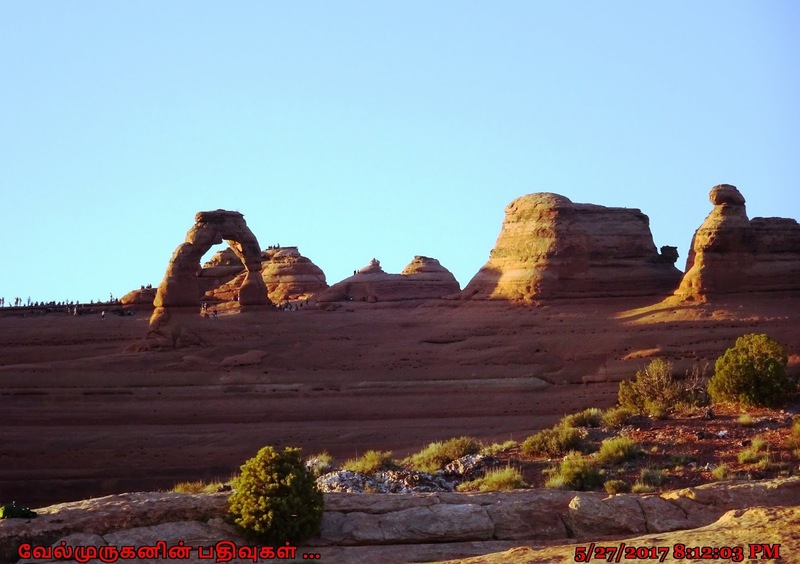 It's difficult to see Delicate Arch from the main park road; you must get out of the car to view it. At Lower Delicate Arch Viewpoint, you can walk a level 100 yards (91 m) to see the arch from one mile away. Nearby, the Upper Viewpoint (0.5 mi / 0.8 km walk with stairs) offers a slightly less obstructed view. The trail to see Delicate Arch up close and personal is 3 miles (4.8 km) roundtrip and climbs 480 feet (146m). Along this steadily uphill trail, you'll also pass the Wolfe Ranch cabin and a wall of Ute Indian petroglyphs. 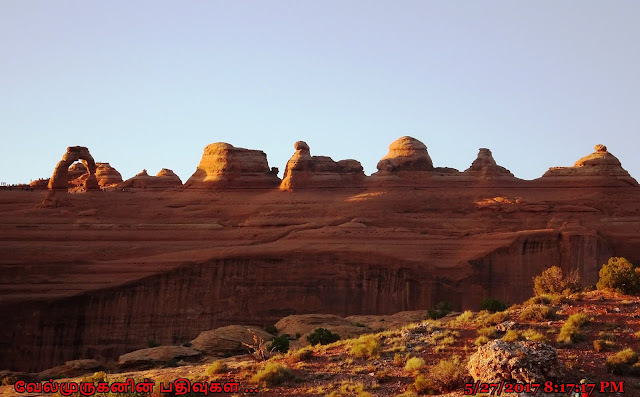 How to Reach: Arches National Park is located five miles north of Moab, Utah, along US-191. Upon entering the park, rangers will give you a map. 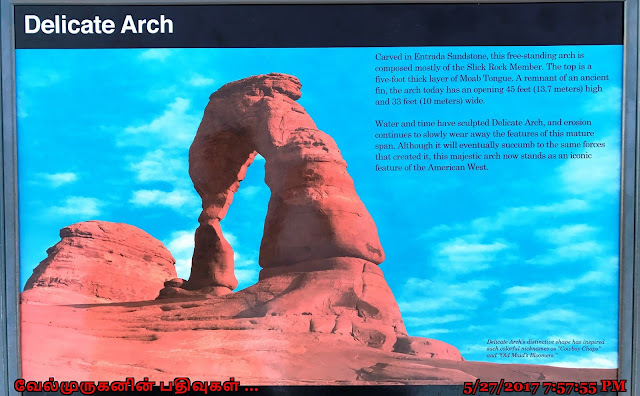 Follow the park road 12 miles where you will see signs for the Delicate Arch turnoff. Follow this road to a large parking area on the left side of the road.